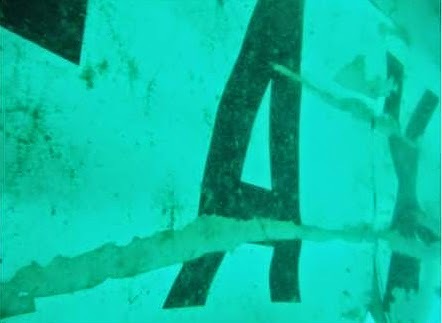 Portal Zine - QZ 8501 AirAsia plane tail found in the inverted condition and immersed in the mud with a depth of about 30 meters in the Java Sea. The assurance was given by the Deputy Operations Brig SB Basarnas Supriyadi. "The tail section on the reverse condition, embedded in the mud," he told a news conference in Pangkalan Bun, Kalimantan, Central Kalimantan, Wednesday (07/01). Because most of the tail is embedded in the mud, he continued, then the possibility of a black box or black box that is in the tail also in the mud. Based on the findings inverted tail, Supriyadi suspect crashed plane in the inverted condition. Teams of divers are now tracing the existence of the black boxes are expected to require certain techniques from the divers. Previous National SAR Agency ensures the tail Pesawar AirAsia QZ8501 found in the waters of the Strait of Karimata. Certainty that it is the tail of the aircraft based on the writings of AirAsia and AirAsia airline symbol printed on it. The discovery of the tail is very important because in the plane is usually there are two black boxes. If found, the black box will be opened and analyzed in Indonesia. QZ8501 AirAsia plane crashed on a flight from Surabaya to Singapore on Sunday (28/12). The plane carrying 162 people including crew. Gerry Soejatman flight observer said AirAsia aircraft tail discovery is an important development. "Because we've been waiting for more than ten days, in which the plane," said Gerry told BBC Indonesia. "People will guess that is a no-no." With the discovery of the tail, he continued, the victim's family has to get answers about the certainty of the crash. Gerry also said, finding the tail is very important karenaakan help finding the black box (black box). "Because it is stored in a black box near the tail." The findings of this aircraft tail, he added, is also important for further research on other factors might be behind the fall of the ill-fated plane.